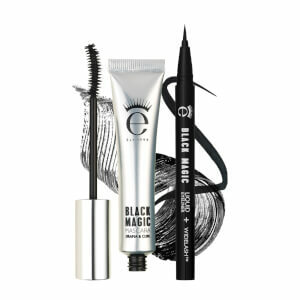 An intense waterproof eyeshadow and liner, complete with built-in blending brush for smokey eyes in an instant. 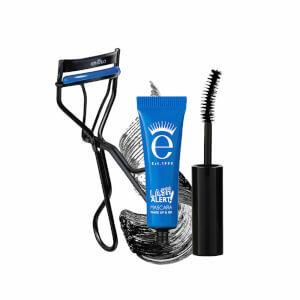 Glides on and stays on for a long-lasting, crease-resistant finish to accentuate your eyes. Automatic twist-up pen, no sharpener required. Available colours: Bronze, Charcoal, Chocolate, Quartz, Topaz, Taupe. Cyclopentasiloxane, Mica, Trimethylsiloxysilicate, Stearyl Dimethicone, Ozokerite, Phenyl Trimethicone, Polyethylene, Lauroyl Lysine, Candelilla Cera/Euphorbia Cerifera (Candelilla) Wax/Cire de Candelilla, Disteardimonium Hectorite, Phenoxyethanol, Lecithin, Tocopherol, Propylene Carbonate, Ascorbyl Palmitate, CI 77891 (Titanium Dioxide), CI 77491, CI 77492, CI 77499 (Iron Oxides). Cyclopentasiloxane, Trimethylsiloxysilicate, Synthetic Fluorphlogopite, Stearyl Dimethicone, Ozokerite, Phenyl Trimethicone, Polyethylene, Lauroyl Lysine, Euphorbia Cerifera (Candelilla) Wax, Disteardimonium Hectorite, Phenoxyethanol, Lecithin, Tocopherol, Triethoxycaprylylsilane, Propylene Carbonate, Ascorbyl Palmitate, Aloe Barbadensis Leaf Juice. May contain: CI 77499 (Iron Oxides), CI 77019 (Mica), CI 77891 (Titanium Dioxide). Cyclopentasiloxane, Trimethylsiloxysilicate, Stearyl Dimethicone, Ozokerite, Phenyl Trimethicone, Polyethylene, Euphorbia Cerifera (Candelilla) Wax, Disteardimonium Hectorite, Phenoxyethanol, Lecithin, Tocopherol, Propylene Carbonate, Ascorbyl Palmitate, Aloe Barbandensis Leaf Juice. May contain: CI 77019 (Mica), CI 77491, CI 77492 (Iron Oxides), CI 77891 (Titanium Dioxide). Cyclopentasiloxane, Trimethylsiloxysilicate, Stearyl Dimethicone, Ozokerite, Phenyl Trimethicone, Polyethylene, Lauroyl Lysine, Euphorbia Cerifera (Candelilla) Wax, Silica, Disteardimonium Hectorite, Lecithin, Tocopherol, Propylene Carbonate, Ascorbyl Palmitate. MAY CONTAIN: CI 77019 (Mica), CI 77891 (Titanium Dioxide), CI 77491 (Iron Oxide), CI 75470 (Carmine). Cyclopentasiloxane, Trimethylsiloxysilicate, Stearyl Dimethicone, Ozokerite, Phenyl Trimethicone, Polyethylene, Euphorbia Cerifera (Candelilla) Wax, Disteardimonium Hectorite, Phenoxyethanol, Lecithin, Tocopherol, Propylene Carbonate, Ascorbyl Palmitate, Aloe Barbandensis Leaf Juice. May contain: CI 77019 (Mica), CI 77491, CI 77499 (Iron Oxides), CI 77891 (Titanium Dioxide). This is my first time using a product of this type. I've always used powder shadows. I'm now a fan. 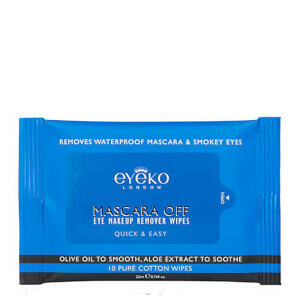 My application skills are amateurish, as I generally don't wear a lot of makeup, just a lash curler and Eyeko mascaras. 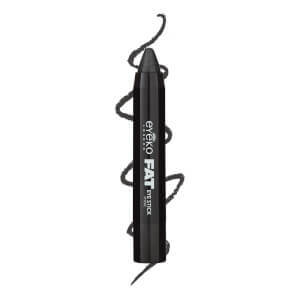 The stick applicator goes on flawlessly and it's super easy to blend it. It's both a liner and shadow, AND it's waterproof. I'm sold. I bought the brown shade, but I want one in black now. I just realized there's a brush on the other end!! I love the shadow stick. I wish it came in more colors. Stayed on great . Great stuff. Goes on easily, stays on, blends beautifully. My fav eyeshadow. The color applies really well I only wish it was a little darker maybe. I don't like sparkly eyeshadows but since this one was free I gave it a try. I would have loved it full if it was another color. But awesome product. I have these in Quartz, Topaz, Chocolate and Charcoal. The darker colors are great for a smoky look or to line my lash line, and the lighter ones are great for a day look + you can use them as highlighters too! Quartz lives permanently in my pencil case!